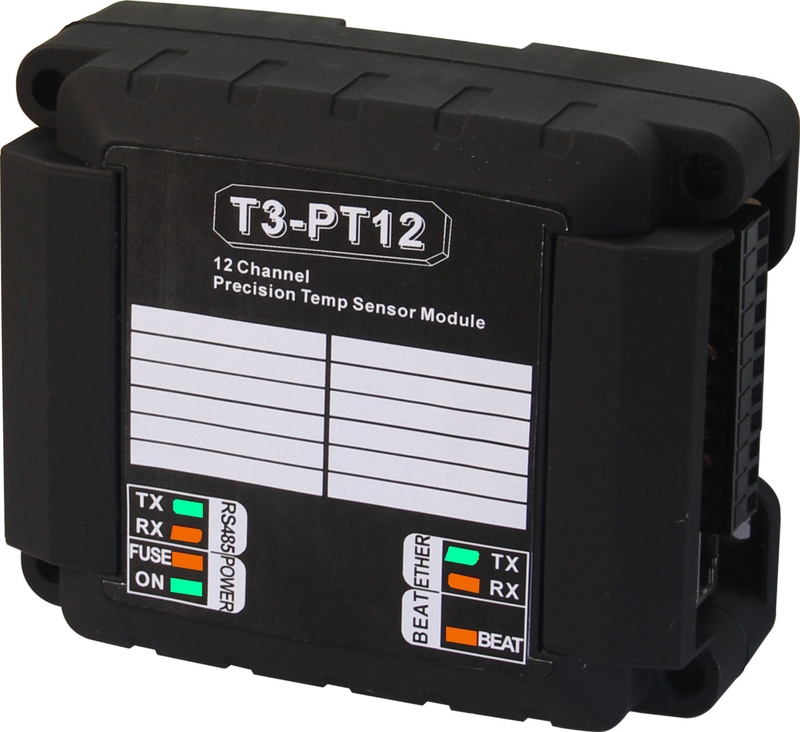 Precision Pt Temperature Sensor Module - Temco Controls Ltd.
• LEDs show communications activity on all ports, power, fuse and heartbeat. 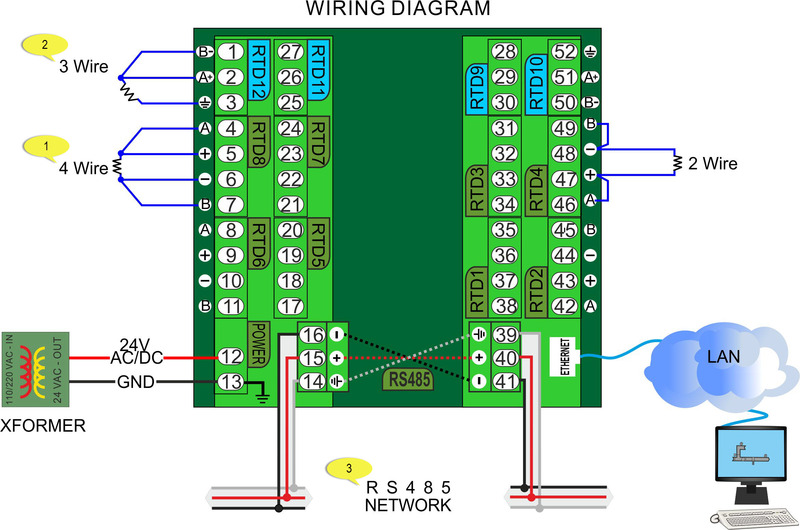 • License free,open source software allows setting all parameters and reading temperatures. 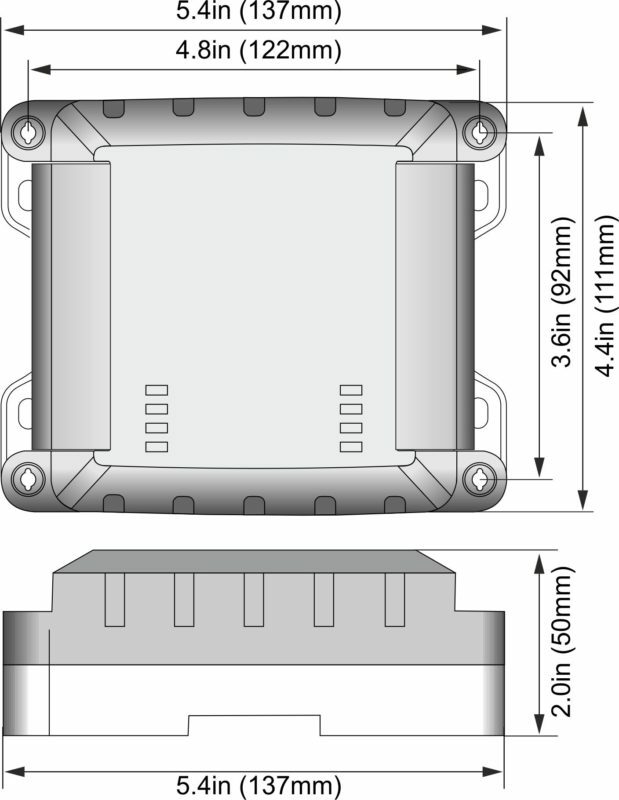 The unit accepts platinum Pt elements, either 100 ohm or 1k ohm variety. It also can accept 10k thermistors, Type II and Type III. Cabling can be accomplished using two, three or four wire connections. 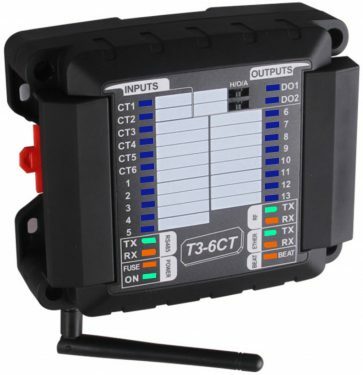 Communications is supported over Bacnet and Modbus over both RS485 and the Ethernet ports. 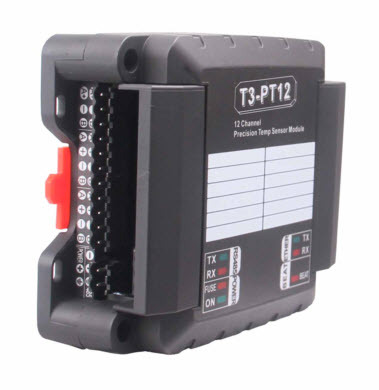 All readings and the various settings are available as Bacnet objects and Modbus registers. 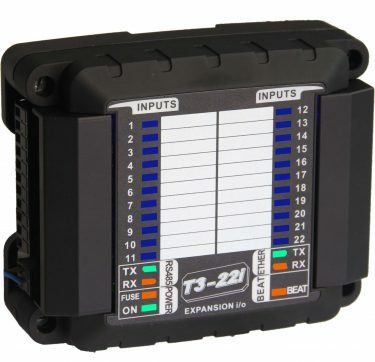 Each of the sensors connects to a terminal block which can be plugged in and out without disturbing adjacent sensor connections. 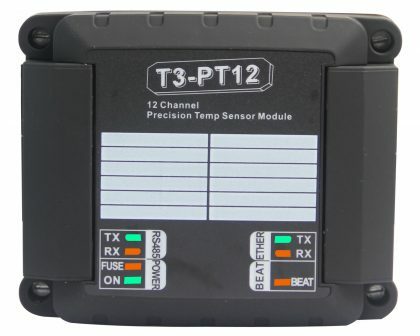 There are twelve sensor channels and the sensors can be wired with three and four wire connections for instrument grade readings over long distances. 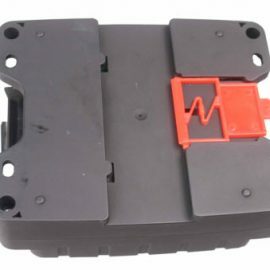 For shorter distances and where accuracy is not so critical a standard two wire connection works fine in many applications. Note however that due to space limitations the sensors on channels 9 thru 12 are limited to three wires. Channels one through eight can have the 2 , 3 or 4 wire connections. 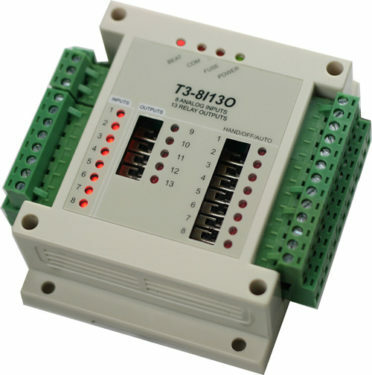 The RS485 connections have two separate terminal blocks to make RS485 troubleshooting easier, they are not actually separate RS485 ports but are wired internally together to make it easy to separate the network during commissioning. 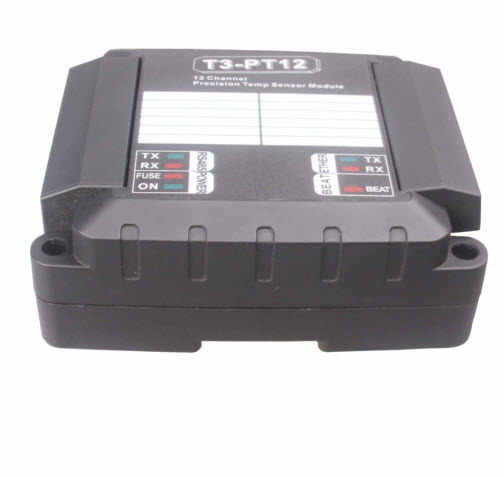 Power can be provided by any convenient supply from 12 volts up to 24 volts AC or DC. The internal power supply is half wave rectified so that several devices can share the same transformer. 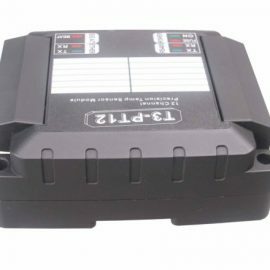 A self resetting fuse guards against ground loops and over voltage conditions.